We are only 2 weeks away from the 7th annual #TL5K! One of our weekly groups is a year-round group at a local adolescent drug rehab. We have been working at this facility for over four years now, and I can honestly say it can be the most rewarding or frustrating experience of my week. These are young men who are battling addictions at a very young age and are (primarily) court ordered to go through 45-60 days of rehabilitation. There are 16 boys on the unit at all times, so you can imagine how up and down these boys can get. A few weeks back, I had to completely shut down the group because the boys were not only being disrespectful of me, but also of each other. Nothing was getting done, and it seemed like they had all decided to quit on the group before we ever got started. You see, when I have to come down hard on a group because of behavior or disrespect, I try to do so with a bigger plan in mind. While I hate to boot out a whole group of students from a week of support group that could be potentially helpful, I know the next week when we meet, things will be better. Things will be better because when we meet again, I don’t hold anything against them. They failed to make the group happen last week. Maybe I failed as a leader. But, what is most important is how we move on. We can make it better together. I’m going to show up with the a positive attitude believing they can fix the problem. And guess what? They always do. Anytime I’ve had to call out students on their behavior or attitude, they respond when I come back with the expectation that they will make it better and fix the problem. 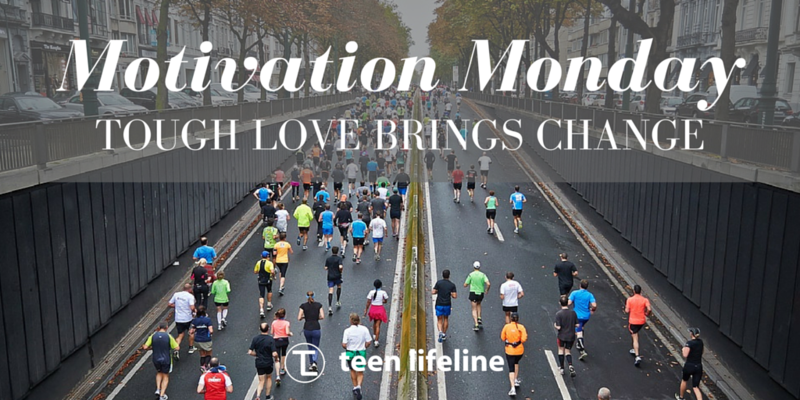 We can do a great service to teenagers when we believe that they can get better. Adults have incredible power to influence students in a positive way by having hope that they can make positive and meaningful changes. What can you communicate today to a student that will help them make meaningful change?